Flexible polyurethane foam is light-weight, inexpensive and commonly used as cushioning for a variety of consumer and commercial products. 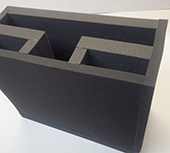 We specialize in fabricating custom foam assemblies for commercial and industrial uses. As a direct manufacturer and a high-volume buyer of materials, you can always expect us to offer you the lowest prices. Polyurethane makes for effective internal packaging due to its ability to absorb repeated shocks while retaining its cushioning properties. We offer trays, inserts and custom internal cushioning that is perfect for hard cases, or as the insert for a corrugated box. 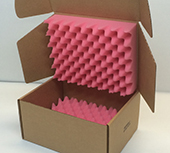 Pink anti-static polyurethane is available in various densities for the proper protection of static-sensitive parts. 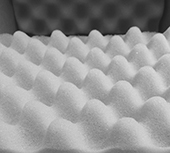 Anti-static foam’s properties dissipate electro-static charges and is excellent for cushioning electronic equipment and components. Anti-static can be cut and combined into any conceivable design.